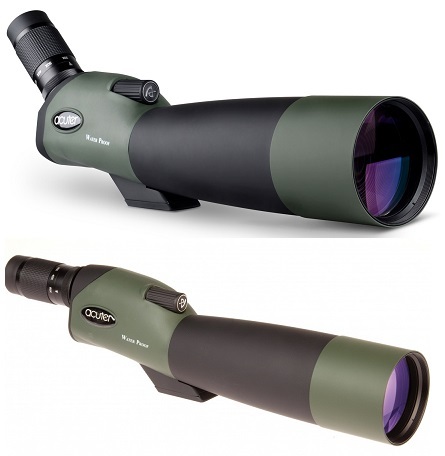 Yukon Porro and Roof Prism binoculars that are best for detailed, long distance observation. Rubber-armoured, and sculptured body shell make them ideal for all weather operation. Yukon binoculars are designed to view long distance activities that require high power. Yukon binoculars will help you in long distance viewing. Yukon binoculars are ideal for bird watching, astronomy, sports action, and stars watching. it helps you to get closer. By continuously integrating the latest technologies, Yukon Advanced Optics strives create the best value in consumer optics. The unique designs and manufacturing methods makes it to create exclusive, first-rate observation devices. Yukon Advanced Optics Futurus Woodworth Binocular is perfect choice for multi- purpose in daylight conditions and astronomic observations. Its eyepiece caps protect eye against slide flash which eliminates image distortion and increase image quality and deliver clear, colourful and sharp image. Its lightweight polymer rubber armoured and sculptured bodyshells protects it from any damage, slip-resistant and gives an extra protection against any shock. Yukon Point Binoculars are ergonomically designed, is a blend of best design and optimum performance. High quality optics are incorporated that offers best observations with wide field of view. Yukon Sideview Binoculars are ergonomically designed, inverted porro design and compact construction. Here at Microglobe you will find range of Yukon binoculars. There's a variety of Designs of Yukon binoculars with perfect optics to meet your needs. We have a large collection of Yukon Binoculars. Yukon offers a comprehensive range of cost effective binoculars, spotting scopes and weapon sights for daylight applications. Yukon Futurus 8x40 Wide Angle Porro Prism Binoculars Yukon Futurus 8x40 Wide Angle Porro Prism Binoculars is a universal binocular combining optimal magnification and compact dimensions. A wide field of view provides comfortable viewing of moving objects.